If you know what to look for, you can see it all over now. The Battles of Armageddon are raging across the planet. A schism has been forming, and the world is dividing. The World Peace Movement has started. The same crises occur on every level. If you have ever been through a divorce, you know how it works. You know what to look for. The family separates into husband, wife, and children, and extended family, friends and neighbors are mostly likely drawn into the conflict in some way. The separation starts when one stands on the principles and his or her choice affects the other person's security and support, and he or she goes down into the power games--gets revenge on the person who stands on the principles. The global conflict started with the revenge against Saddam Hussein. Within the organization, the conflict started with the revenge against the founder of the organization, Karen Holmes, who is is parallel to Saddam Hussein. This is the first step. We are bringing in the people with the Pass It On books starting with the Battles of Armageddon Series. The first booklet of the Series looks at the Moment of Choice when one stands on the principles and the other chooses power. Our potential members have been learning about revenge and where true power comes from. To become advisors to governments, this is a lesson everyone must learn. When you are in a crisis, it doesn't work to think positively. You must come up with a plan that benefits everyone. You will see that the plan that benefits everyone is the creation of the international government. Before the Exit Strategy for Iraq can come about, mankind must reach the point where the United States lets go of the power games. People must hit the point of the Brick Wall--the bottom of the abyss. They must say "enough is enough." What is dragging people down into the abyss is holding onto something that cannot help you get the life you want. People rely on compensatory games, like alcohol to make you feel better. As some point it becomes apparent that alcohol doesn't work, when you hit the point where you lose what is important to you. There is always a backlash from the power games. But for the alcoholic that has hit the Brick Wall, there are still people from previous relationships that still see only the opportunity to play the games, not that the games have affected them, too. It is like a line that forms of when people are ready to let go of the games. Until someone hits the point of the Brick Wall, you cannot convince them that the games don't work. With genocides, which are based on weaving an illusion, many people are holding onto what has dragged them into the abyss, and cannot let go until others have done so. The United States is the overview concept, and we are the first to let go. Until we do, no other nation will come to participate. This is now Armageddon, which means "the silly things people do." Armageddon starts when one person stands on the principles and that Moment of Choice affects another's security and support. Armageddon occurs every day in marriages and in business, but global Armageddon was triggered by the preemptive strike on Iraq. When Saddam Hussein went to the Arab League to protest that the sanctions had killed 500,000 Iraqi children, and he called the United States the oppressor, he was standing on the principles and defending his people from "the oppressor." This triggered fears in George W. Bush, and he went down into the games of one-upmanship. A series of skirmishes and battles have occurred--the Battles of Armageddon--and it drew in every person on the planet in some way. The United States and Iraq were allies at one time. Bush could have gone to Saddam Hussein and worked out a solution, but he didn't. Like a hostile divorce, they reached the point of no return when Saddam Hussein was hanged, and George W. Bush was backed into the proverbial corner, with no way to end the insurgency. He started a civil war rather than to gain control of Iraq's oil reserves and a strategic location in the Middle East. The power game of regime change no longer works. None of the games work anymore. All the games have reached their ultimate conclusion, and a series of "curses" are starting to occur where everyone is facing the point of the Brick Wall. Now, the U.S. government must find a way out of the abyss for our own nation, and all the people on the planet. When you are backed into the corner, the solution is not to fight or to allow yourself to be squeezed, because both lead to your death. What is not apparent is that there is a little door behind you, in the corner, and if you turn around, you will see that it is there. That is your option to do what is in everyone's best interest. While others see the opportunity to grab for power, and to create a vertical hierarchy that puts one individual on the extreme top of heap, as the emperor of the planet, that can only lead to the Brick Wall. The real opportunity is to work together to create a flat hierarchy that enables everyone to function on a higher level. The little door is to join in the creation of the international government. The world leaders are jockeying for power, and playing the games. The illusion is so powerful now, that is appears that if a nation joins the movement to create the international government, it will lead to their death. It is as if all three options now lead to one's death. This is what has occurred with world leaders such as Hugo Chavez and Kim Jong Il, who both liked the plan for the international government--it treated them fairly and equally. The nations that have been declared Axis of Evil spiraled into crisis due to a sense of judgment, and were the first to support the idea. Our first year's proposals are for nations that got into their crisis based on a sense of judgment. The United States also got into its crisis by judging other world leaders as evil. No one has the right to judge another. If the United States refuses to participate in the plan for the international government, they will have ignored the crisis and passed it on to future generations, and it will take seven generations to undo the damage. That choice leads to be continually squeezed to the point of death. At the point of the Brick Wall, the person dies unless a spiritual teacher comes along and demonstrates how it is possible to overcome the same crisis, and this is what our organization is doing. We are the spiritual teacher, and because we are in the same crisis, we are relying on our books, "channeled messages from God on how to overcome any crisis." 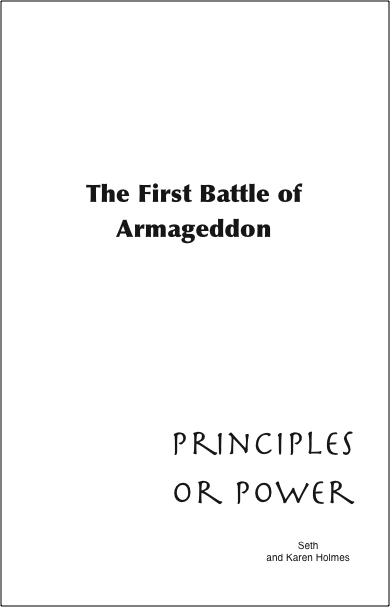 We have a series of booklets, called "The Battles of Armageddon." They explain how mankind has been spiraling down in the crisis, and how to come away from the crisis. The books are only available at this point in time to the independent members of our organization, but our catalog is a resource in itself. You Walk the Rainbow to rise out of the abyss and go on to create the life you want, and then you demonstrate it is possible to do so other others in the same crisis. The nations are Walking the Rainbow, too. Each of our government proposals has recommended reading that can be found on one page of our catalog. Before world peace can come, every person on the planet must be able to create his or her life without interference, to be treated fairly and equally, and to have a voice in their government. Until mankind gives up the power games, world peace is impossible. But, world peace is not only possible, it is probable because we are working our way through the planning process, and each time around the planning circle, it goes from possible, to probable, to likely. Before world peace can come, mankind must address where true power comes from. Can you gain in power and prestige by playing power games? People must be squeezed to let go of the power games. They go against Universal Law, so there is always a backlash to the games. When they reach their ultimate conclusion, they achieve the opposite effect. Grabs for power always lead to a loss of power, but at first it seems to work because it takes a long time to see the effects. At the end of the cycle, the backlash is immediate. A good example of this is power game of regime change. The United States has toppled many governments and it has seemed like it works to enable our country to get power, prestige, control of natural resources and a foothold in strategic locations in the world. The game reached its ultimate conclusion when George W. Bush preemptively invaded Iraq, as part of an act of revenge against Saddam Hussein. Because he was attempting to comply with UN sanctions by destroying WMD, he was innocent of the charges against him. The invasion is now seen as a grab for power by George W. Bush, and Prime Minister Tony Blair. Was it a power play? Imagine that you bring together a "coalition of the willing," and everyone plays a favorite power game. You seem to be unifying the entire planet against one individual, and everyone seems to have the same goal. But, how can the terrorists that want to tear apart the United States have the same goal as the people of the United States? Revenge is a means to an end, and no one has the same goal. 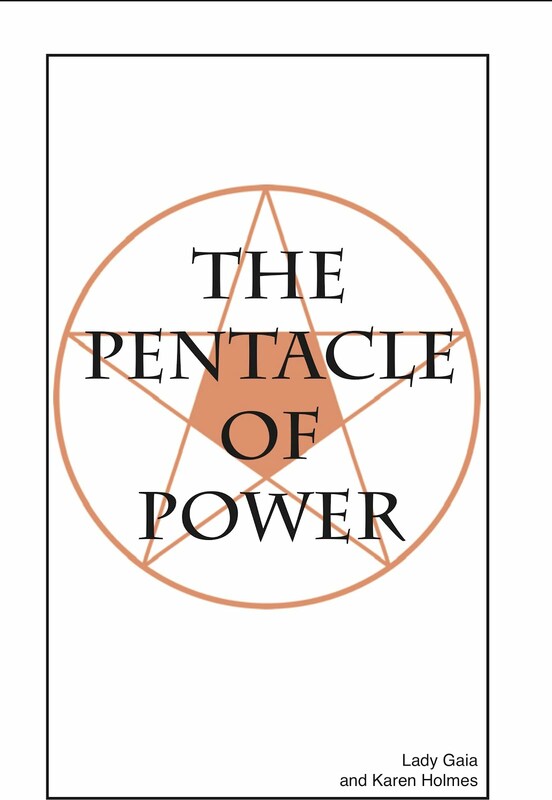 The principles of where true power comes from is found in our Power Series booklets, starting with "The Pentacle of Power," by Lady Gaia, the female aspect of God. She explains how revenge works and why it doesn't--that no one has the same goal so everyone is undermining each other. In the Bible, it says "Vengeance is mine, sayeth the Lord." Revenge goes against Universal Law, which is immutable. It affects every person on the planet. The Exit Strategy for Iraq is a U.S. economic stimulus plan. It plugs the drain on the U.S. economy to the Middle East. The principles associated with this proposal can be found on the first page of the technology segment of our catalog, because technology addresses the application of the plan and includes coming up with a plot to get revenge and using technology as a weapon rather than to benefit mankind. True power comes from assuming responsibility to undo the damage you and others have done. The contingency for the Exit Strategy for Iraq is that The United States assume responsibility to undo the damage caused by the Iraq Genocide by withdrawing from Iraq based on the Exit Strategy for Iraq, and because it was an act of revenge that took away the inalienable rights of the Iraqi people to live their lives without interference, to keep our own inalienable rights granted to all Americans under our Constitution, we must work to guarantee the same inalienable rights to all people. America must amend our Constitution to create the international government, which is the U.S. Constitutional Amendment project. Then American can Walk the Rainbow to create the international government and world peace. 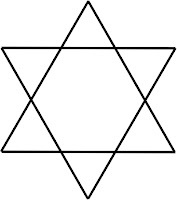 The Star of David is associated with genocides. Jews during the Holocaust were required to wear a yellow Star of David on their clothing to set them apart from the others. What is ironic about requiring them to wear this symbol is that it demonstrates how to end a genocide. Perhaps the perverse logic at the time was that no one really was willing or able to make the effort to end the genocide. Everyone has a problem and everyone has a solution, and the idea is to bring the two together. The triangle that points up represents the people in power who have the problem. The triangle that points down represents the people who have a solution but has no voice. The overlapping areas represent mainstream-thinking, and there is a continuum of frequency from side to side. Mankind is evolving or devolving. You won't find the solution to any crisis in this area because their perspective narrows as the crisis progresses through a series of misunderstandings. There is also a continuum of frequency from top to bottom. The higher the place one is on the symbol, the more power he or she has. The lower, the more viable the solution. The extreme upper and lower points represent the person who is responsible for finding a viable solution, and the lower is the person who has the solution but no voice and no power. The lower symbol is what occurs when the two people at the extremes come together, and the solution goes mainstream. In the case of the plan for the international government, President Obama and his administration are represented by the triangle that points up, and our organization is the triangle that points down. What is preventing the two triangles from coming together is that he has not yet made any contact with the person at the bottom extreme, so the plan has not yet gone mainstream. The two triangles may be already sliding together by working with potential members of the organization, but that is not enough to create the international government. It passes the conflict on to future generations. On the parallel level, President Obama must defend Saddam Hussein to stop the genocide. The Exit Strategy for Iraq is the solution to ending the global genocide that is unfolding. Everyone has a problem and everyone has a solution, and the idea is to bring the two together. The spiritual hierarchy came to the prayer circle and gave us many insights and prophecies, and among them that seven curses will spread across the planet. They are based on the ultimate conclusion of the power games. The people who are perpetrating the games to what they perceive as their own advantage have taken the insights and prophecies, and have subverted them. They are undermining the prophecies and attempting to back the people into the corner, and framing the prophets. ISIS has done the same thing. There is a prophecy that Jesus and Muhammad will work together in the future, and the fulfillment of that is the Faith of the Pure Ray, where each of the seven major religions works together to teach people how to create the life they want. Turning the prophecy to their advantage does not justify targeting the Christians, but it does to keep their soldiers motivated to perpetrate the crimes. The ripples keep going out. By subverting the prophecies, the conspirators back themselves into a corner. They are willfully breaking Universal Law. They are not above the law. They are not the law. There is always a backlash to the games, and to get out of their corner, they must go through the door, which is to do what is in everyone's best interest. They must let go of the games and undo the damage they have done to keep their own power, which their power grab demonstrates they are lacking. The ultimate conclusion of the games is that someone dies, and so far, the caliph--whoever he is--has not figured out how to overcome his own death. Enslaving people involves the belief that you are outsmarting others, and backing them into the corner. The Hebrews were enslaved by the Egyptians, and yet Moses freed the slaves by prophesying the seven curses. Covert and overt actions cannot be equated with outsmarting someone. To overcome slavery, you need a place to go, and this is also being subverted by mixing extremists into the refugees. All this is being done to postpone the creation of the international government. Just as President Obama is degrading and destroying ISIS, they are doing the same thing to him. Participation in the proposed international government allows a nation to function on a very high level. Included in the proposal to Iraq are the ten benefits that every nations will receive by joining the international government. If you consider that ISIS is (to some extend) state sponsored, the world leader behind the creation of the caliphate has a choice to grab for power or to be equal to all the other world leaders. If he chooses the power grab, he risks assassination. People who play the power game of slavery, based on outsmarting others, do so because they believe they lack intimacy. He fears being hurt so he pushes people away. If he chooses the international government, he unifies his nation and allows his people to participate in the global renaissance, so he becomes a hero to his people. The ripples of effects have gone out from the Grand Lie, and it has reached the point where no one knows who to trust. The Truth does not overcome the Lie. The question is, what does overcome the lie? Power grabs always lead to a loss of power. If you weave a web of deceit, eventually the lies will become so ludicrous that the conspiracy collapses. Now, the world leaders are log-jammed, and if one nation tries to join the international government, the caliphate or "empire" supporters rise up and stop them from joining. Family members are being kidnapped, such as the Qataris when they traveled to Iraq. With sleeper cells in every nation and in every state, the entire planet can be torn apart and at war. The lies continue to spread out, and the anger is building. The solution is the Exit Strategy for Iraq, and to introduce the idea that revenge doesn't work. The power games no longer work. The conflict in Iraq proves that any grabs for power lead to a loss of power. The United States is the overview nation, because we are a melting pot of cultures and religions. Instead of taking on the caliphate, the solution is for the United States to address the justification for the pre-emptive strike on Iraq. It goes against one of the premises that the U.S. legal system, that someone is presumed innocent until proven guilty. As the United States demonstrates the principles of our legal system, we set the stage for our Constitution to become the basis for the international government. The preemptive strike went against this premise, which was included in our legal system because our Founding Fathers knew you cannot defend yourself from prejudice and ulterior motives. Regime change and destabilizing other nations though covert and overt actions have backlashed on the United States. We are now the target. The United States is the first nation to turn around, but in such a way that we demonstrate to the entire planet the principles of the U.S. Constitution. We are not dictating culture or religion to anyone in an attempt to democratize the planet, but demonstrating the potential for everyone to function on a higher level by standing on the same principles. When you are backed into a corner, only two options are apparent. One is to continue to be squeezed, and the other is to come out fighting. Both are untenable. The solution, as I said in previous posts, is to turn around and go through the little door in the back of the corner. That is to do what is in everyone's best interest. Consider what that means. It leaves no one out. You are not standing on the principles if you are sending in the troops, or bombing strongholds. If there are ISIS sleeper cells in every country and every state in response to George W. Bush's statement that "we will fight them over there so we don't have to fight them over here," by starting a feud, we insure that we will fight them over here. We can't fight ISIS and expect not to face our own "Arab Spring." The application of the principles is what is important. We can't state that we stand on the principles and then act based on the power games. By fighting ISIS, or any other extremist group, you escalate the violence and you create a feud. Our organization is parallel to the international government, and many people have been backed into the corner. Many of them are, or were, attorneys, and their reactions to crimes have been to call the authorities and to file charges, but the oppressive force that they are fighting are oftentimes people who were dragged into the conflict, and had no way out of their own corner, except by fighting. Ripples of effects have gone out from the original grand lie. The two sides of the organization have been kept separated, and both sides are told lies. There has been punishment that far surpasses the minor reaction, extortion and far worse crimes, even against babies. This is how genocides function. Revenge brings in five power games, including slavery and genocide. The games are bad, not the people. Everyone has backed themselves into the corner by playing the games. The Light Source invention demonstrates how the principles create a sense of balance again, because they give people what they lack. You want people to come toward you because you offer something that the oppressors won't and can't. ISIS offers mankind a choice, and nothing more. There are other people on the planet who are grabbing for power, too, and see the collapse of the U.S. power base (for not standing on the principles in Iraq) as their opportunity to become the most powerful person on the planet. True power comes from assuming responsibility to undo the damage that has been done. Yesterday I talked of three wonderful paths to world peace, but today I will talk about how the beginning of the paths are blocked to those who wish to Walk the Rainbow, and what to do about it. The hostile takeover of my organization is in the form of a genocide--a character defamation campaign-- and ripples of effects have gone out from it to draw in thousands of people. Just as demonstrated by the Light Source invention, the crisis started with oppression, and has gone around the circle twice and is now on the third cycle. Thousands of heinous crimes have been committed. They are acts of mayhem to prevent people from participating in the plan for world peace. The first was the criminal acts, then the investors, who are/were mostly powerful attorneys/ responded by threatening law suits, and the third time around the circle, the criminals started wantonly killing others, including small children. The same thing is occurring on the international level, with extremist groups like ISIS and Boko Haram. Degrading and destroying the groups is not the solution because it doesn't address the root cause of the problem, and so it is making it worse. There are sleeper cells in every nation and in every state, and they will rise on a global basis once the second circle is complete. As this is being written, there is a flow of extremists from Syria and Iraq into Libya. That does not mean that Syria and Iraq are free now, because the schism within the governments still exists. Those who stand on the principles are being overwhelmed by those who have fallen to the games. The conflict won't end until everyone has their financial support. It takes a fourth element to come into the crisis, and in this case, that is the principles that were taught by Gautama Buddha, and Buddhism. A way to look at it is as family dispute--a hostile divorce. If a husband is unfaithful, it affects the security and support of the wife, and their children are left of the proverbial bridge between the two parents. They have no foundation to get their life. It takes a fourth element--a judge--to ensure the rights of the child to get his or her life. Those who have no social conscience function for their own interests. They would like to see the idea for world peace fail. They cannot take control of peace, and so do what they can to postpone it. They are first to grab onto the idea, and prevail when those who do have a social conscience don't stand up in enough numbers to stop them from committing their acts of mayhem, but for them to be heard, they must offer a plan that benefits everyone. The investors didn't have that plan. They knew about the plan for the international government, but their knee-jerk reaction was to fall back to legal recourse, and at this time, there is no way for anyone to have a fair trial. The illusion has even spread to the point where court documents have been subverted. People who have a social conscience are generally slow to act. The longer they wait, the more likely they will be overcome by their fears. People who stand in protest have no voice unless they can offer a plan that benefits everyone. 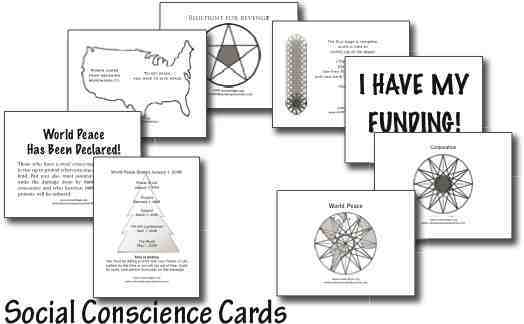 Our Social Conscience cards, which are part of the Getting Out of the Abyss class curriculum--the first row of the World Peace Marketing Strategy--are based on the Tree of Life concept. Our students become the teachers to their family and friends, and the teachings keep spreading until every person on the planet is able to create the life he or she wants. Everyone has a mentor. The first plan is the plan for the international government, and the plan enables the creation of a global renaissance. It leaves no one out of the benefits--even the extremists. The first step is for the United States to defend Saddam Hussein. The problem is that there is a schism within the governments, where one side is standing on the principles and the other is falling back to the power games. The Democrats understood that it wasn't a good idea to invade Iraq because our nation lost its power base, and many Republicans still think we defended Iraq from an evil dictator, that the war was justified. It is a matter of the letter of the law as opposed to the intent of the law. The Exit Strategy for Iraq takes the crisis off the battlefield and into the courts, and the monies now wasted on war go to support the people, instead. Saddam Hussein had actually been an ally of the United States and our government supplied him with intelligence and arms during the Iran Iraq War, one of the most brutal in the history of the planet. When it became apparent that the United States could not stop the insurgency, we could have gone to him and made a deal to give him back his power temporarily in exchange for helping Iraq transition into the international government, but his assassination prevented that from occurring. and the trick is for the two to find each other. 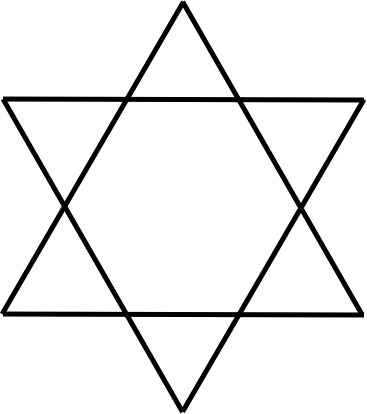 This is represented by the Star of David symbol, with two opposing triangles. When the two sides meet, the two triangles slide together into a hour-glass shape. How this functions, say that President Obama is looking for a solution to the ISIS crisis, and goes to his think tanks or military for a solution. They came along the cycle of misunderstandings with the president into the crisis, and see only the narrow perspective. Of course the military will have a military solution, but it won't address the root cause of the crisis. But, defending Saddam Hussein is not something President Obama may wish to do, because he risks alienating the Republicans who still see that we were justified in ridding Iraq of an "Axis of Evil" dictator. Once President Obama announces his support for the plan for the international government, and opens it to debate, there will be a wave of peace that goes out, as if a window into heaven has been opened for everyone to see that world peace is possible. The idea goes mainstream. Everything mankind needs to function on a higher level is included in the first year's proposals and projects. Everything that mankind needs to rocket out of the abyss. The three paths from yesterday's post allow every person on the planet to function on a higher level, and to create the life each one of us wants. Everyone wants to be able to get his or life on a higher level. Eventually even those who believe they can get it by perpetrating acts of violence and mayhem against innocent people will face the backlashes from their power games, and will come to understand they cannot get their life by breaking Universal Law. At this time, every person on the planet has been exposed to the idea of the Universal Law of Cause and Effect--karma or the Gold Rule. Some still think of it as punishment and others see it as a tool that enables them to get their life. By helping others to create the life they want, they can have the help they need, too, and during this time period, the backlashes are immediate. Because everyone plays the games, people are squeezed by the backlashes of the games to let them go. The games are not always easy to recognize in your life. It is easy to see that murdering another is a power games and has ramifications, but cancer, stroke and diabetes are also based on the games and you are taking your own life. The games are oppressive to the people. To rise out of the abyss, you must let go of what is dragging you into the abyss. If you are an alcoholic, and have hit the bottom of the abyss so that you have lost everything and you no longer believe you can get the life you want, you must let go of the belief structure that alcohol will help you get your life, and turn around and start to rebuild your life. There are three main ways we offer to start on your journey to create the life you want. They create a "family" of concepts. Track Our Progress, and the government proposals and projects, are like the Father, who is the potential of the family. Without the government's involvement, it would be hard for the people of any nation to bring world peace. The World Peace Marketing Strategy, and the four segments of the people of every movement. Mankind divides into four segments--five if you include the future--and this path is the Mother perspective. Everyone is offered the opportunity to get the life they want, and no one is left out of the benefits. She teaches her children the principles of what they need to understand. Walk the Rainbow, which follows the planning process you take to rise out of the crisis. This is the Child of the Family. When the individual is ready to make the journey, he or she Walks the Rainbow through the planning process, all the way out of the crisis to the point where he or she is creating the life he wants. The governments are also Walking the Rainbow. Each government proposal has a sets of books that explain the principles, and application of the principles and the stages of the planning process to enable everyone to make progress on their journey to world peace. There are seven power games that people play, and governments generally play five of them, and all five are part of the act of revenge. Two of the games--genocide and slavery-- are based on weaving an illusion. Both involve backing someone into a corner. When you are backed into a corner, the solution is not to fight or to allow yourself to be squeezed more and more, because both lead to one's death. What is not obvious is that there is a little door behind you, in the corner, and if you turn around, you can go through that door. The door represents joining the World Peace Movement, and the international government. It involves doing what is in everyone's best interest, and sharing your talents and gifts with others through win-win agreements. The oppressors who weave an illusion are really no different from anyone else on the planet. Everyone plays the games. We learn them as we grow up in our family, such as watching a parent rely on alcohol to solve his or her problems. Eventually the games stop working, and then we must find out what is working. You can't get the life you want by relying on alcohol. As the plan for world peace was introduced, a small group of people took the idea and claimed it at their own, and because they seemed to have power and prestige, many people believed that they were the rightful owners of the plan, and had the capacity to bring it about. They don't have the capacity. The framework based on making win-win agreements exists, and they are based on sharing your talents and gifts. They were weaving an illusion. They didn't understand the plan, and when that was discovered by people who had a wider perspective, they escalated the games. Mayhem erupted, and many people were backed into the corner. They played the games of genocide and slavery, and wove a web of deceit so strong that people could not see any solution, and many people have died. The one thing that small group of people didn't understand is that even as they wove their web of deceit, they were also trapped in their own lies. There is always a backlash to the games, and they thought they were the backlash, but they hadn't seen the backlash yet. They thought they could punish anyone who stood in their way and who resisted, and that had been the result of their previous games, but when they targeted the plan for world peace, what they hoped to achieve by playing the games was gone. People who play the power game of war want respect. People who perpetrate genocides want to demonstrate capacity, and the ultimate conclusion of waging war is not getting respect, but that no one respects you, and you can't demonstrate your capacity by weaving the illusion that you have the capacity to do something, or get intimacy by enslaving others. The United States has relied on regime change for many years, believing it would enable us to get control of natural resources and strategic locations around the world. That power game seemed to work, but ended when George W. Bush preemptively invaded Iraq. He perpetrated an act of revenge against Saddam Hussein. By perpetrating a genocide, George W. Bush demonstrated his lack of capacity, and the game was perceived as a power grab. The fact that Saddam Hussein had been attempting to comply with U.N. sanctions means that the war went against the intend of the U.N. Charter to prevent unprovoked attacks, and it is considered an unlawful war. This collapsed the U.S. power base, and triggered other world leaders to grab for power to see who will be the next superpower. Grabs for power fail because the game is compensatory. People who have true power don't have to grab for it. Anyone who grabs for power is coming from the belief structure that he or she doesn't have any power. Imagine that one of those world leaders takes his or her power games to the next level, seeing what is occurring on the international level as a grand opportunity to get his life on a far higher level. The most powerful person on the planet. Emperor. It is in no one's best interest for one individual to dictate terms to every person on the planet and to have a power base that relies on brutality or illusion. That individual would be able to rise to a far higher level in power by becoming part of the flat hierarchy of the proposed international government, equal to all the others. There would be no backlashes if he or she is doing what is in everyone's best interest. The people who have perpetrated the hostile takeover of the organization have played many power games, grabbing for power, and have therefore demonstrated their lack of power. They don't understand the plan, and they don't understand the principles. They are backing themselves into the corner, too, just as they have backed others into the corner. By denying others their opportunity to get the life they want, and having a way out of their crisis, the projects that benefit everyone have not been established, and so they also don't have a way out of their own crisis. Universal Law is immutable. The simplest definition of it is "do unto others as you would have them do to you." You cannot get the life you want by breaking Universal Law. The legal system of the international government will be based on Universal Law. By basing it on any other system, such as Sharia, people will stand up and protest. The creation of the caliphate, for example, is based on forcing Sharia Law on the entire planet, but no one is in agreement for that to come. The only thing that will be accepted is what treats everyone fairly and equally. There is no protocol for ending a genocide because the accepted definition of a genocide doesn't address the root cause of a genocide. Ethnic cleansing does not address the idea that genocides occur on every level, including within families and schools and businesses. Without a protocol, the logical response is fighting back with overwhelming force, and the knee-jerk reaction that ends a war makes a genocide worse, and this is why a military response in Iraq is not the solution. It starts a feud because everyone is fighting for their lives. What stops a genocide is that someone must stand up to defend the person who is being defamed, and that leads us to the Exit Strategy for Iraq proposal. 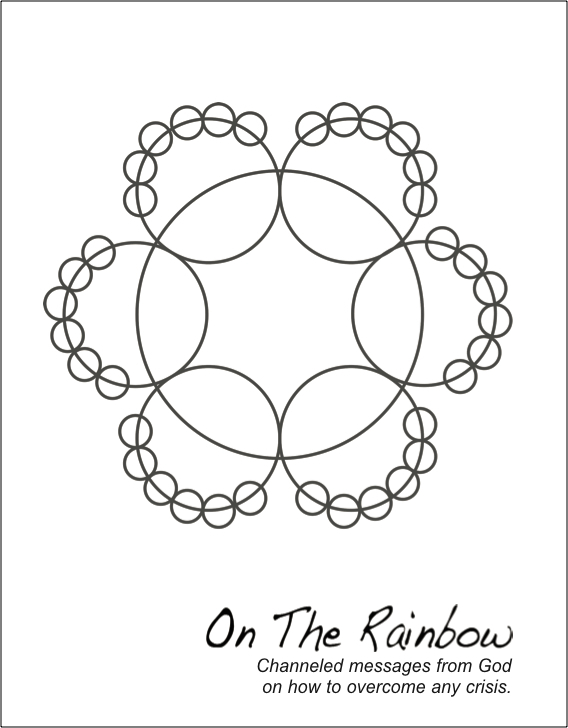 The On The Rainbow Peace Store books associated with the Exit Strategy for Iraq start with the principles associated with power, and where true power comes from. Taking a step back to the Pass It On books, the Battles of Armageddon Series explain what happens when one individual stands on the principles, and it triggers the fears of another individual who relies on him or her for security and support. The one that stands on the principles goes up in power and the one who reacts out of fear goes down in power by grabbing for power. A series of battles result, drawing in more people. We, as a planet, are looking at the Battles of Armageddon that came from the decision that Saddam Hussein made when he stood in protest that the U.N. sanctions from the Gulf War were killing his children. He considered U.S. foreign policy on Iraq to be oppressive. This threatened the security and support of the United States, and George W. Bush and his administration went down into the games of revenge when given the first opportunity to do so. The events associated with September 11, 2001 allowed George W. Bush to justify the preemptive strike on Iraq, which devolved as a genocide. When he brought in the Coalition nations, he brought together five groups of people, all with what appears to be a common goal--revenge on Saddam Hussein-- and all playing their preferred power games, including war, genocide, massacres, slavery and human rights violations, and terrorism. Ripples of effects have gone out to draw in every person on the planet. A schism has formed within the organization, just as has formed within the nations, and people are divided over the issue of where power comes from. This is not the classic fairy tale of good and evil, because both sides believe they are standing on the principles. It is the games that are bad, not the people, and so mankind must start to recognize the games when we see them, understand how how they work and why they don't work, and learn how to overcome the games, which are oppressive to the people. The Exit Strategy for Iraq offers a protocol for ending genocides, and ensures that disputes between nations will be handled in an international court system so that the people are not dragged into conflict. What stops a genocide is that someone stands up to defend the person who is being defamed, and by doing so, he or she assumes responsibility for carrying through the solution to its culmination. The only person who will do that, and has a plan that benefits everyone, is Karen Holmes, who is parallel to Saddam Hussein. History is repeating itself. The creation of the international government is parallel to the American Revolution Movement, and standing up to defend Saddam Hussein is parallel to John Adams defending the British soldiers who were tried in court for the part in the Boston Massacre. In his letters, John Adams said it was the hardest thing he had ever done. Each of the families that come into the organization framework will come in the same way--by one individual assuming responsibility to undo the damage that has been done. One sets the stage for the next. People who have been involved in a genocide lack their inalienable rights. The genocide that the United States is perpetrating in Iraq denied the Iraqi people their inalienable rights, and that went against Universal Law. Now, to maintain our rights guaranteed to us by our Constitution, we must guarantee them to every person on the planet. The next person to come in is parallel to the United States, and he or she will assume responsibility to guarantee the rights of the people by accepted responsibility for the Constitutional Amendment project. Rainbows are not just a symbol of hope when you are in a crisis situation, they are a symbol of the planning you use to get out of the crisis. The books Karen Holmes has channeled are "messages from God on how to overcome any crisis." They are very powerful books, but they not scholarly. They were written for people who are in crisis, and they are as if a friend is sitting next to you and telling you something helpful and speaking from his or her own experience. The power behind the books is that they come from God. Her guides are the spiritual hierarchy and the past kings, queens and presidents who are returning to help bring world peace. The Crisis Series was written for people who are facing their end of life crisis, and starts with Archangel Michael coming to you to tell you that God never intended you to die, and that it is still possible to walk away from the crisis, just as many people have. The books are saving people from illnesses that are considered incurable by the medical community. When you are in a crisis, your perspective has narrowed. You have relied one of seven power games that seem to help you get the like you want, but the games don't have the capacity to help you. They are compensatory games that are based on fears--fear of loss, death or failure. The games are based on misunderstandings where you believe you are coming from a sense of lack in your life. Each time you play the game, you are kicked further off course even while you think you are headed toward your destination where you get the life you want. At the ultimate conclusion of the games, you come to the understanding that you cannot get the life you want, and this is why people die. The books in the catalog are arranged in such a way that they carry the reader out out of the crisis situation, step by step and stage by stage through the planning process from the point of the end of life crisis to the point where they are getting the life they want. The journey is called Walking the Rainbow. Mankind is Walking the Rainbow, too, as we evolve toward world peace. Each of the government proposals for the plan for the international government has associated books found on one page of the catalog, which is based on the planning process. Its booklet series addresses the six principles, the trade book addresses the application of the principles, and three mini-books explain the steps of the planning process to carry the proposal forward in the planning process. The first proposal is not actually the first page of the catalog. The Exit Strategy for Iraq brings together the United States and Iraq to end the global conflict, and it unravels the misunderstandings about where true power comes from. The preemptive strike was an act of revenge--a plot, not a plan-- and so the proposal's page of the catalog is the first page of the Productivity/Orange/Technology segment, which addresses having a plan, but whether it is a plot or a plan that benefits everyone. Technology can be used to benefit mankind or to tear mankind apart. This information is particularly important now as the United States attempts to deal with Iran over its nuclear weapons program. Iran is very technology-oriented. Will Iran use its technology for peaceful purposes? Taking one step even further back--to the back of the catalog--we find the Pass It On Series, which can be considered the end or the beginning of the catalog. The Crisis Series is a Pass It On series. Many people are facing their end of life crisis, and can use a visit from an angel, too, but there are several Pass it One booklets. Many people are concerned about what is occurring on the international level, like the efforts to deal with Iran. 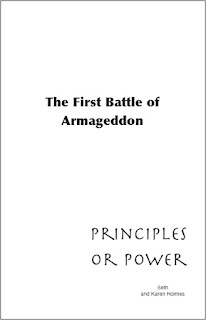 "The Battles of Armageddon" explain what is occurring now on every level, when two people are squeezed, and one stands on the principles, and the other goes down into the power games. This Moment of Choice triggers a series of battles that are tearing apart the planet. The plan for the international government has been opened to debate on the international level, but people must be squeezed to participate in the plan for world peace. Everyone must overcome their crisis and walk forward to create the life they want. Mankind cannot just start to create the international government and hope for the best, because at this point in time, the vast majority of the people still assume that what they are doing by playing the power games will help them get the life they want, including world leaders who are grabbing for power, which is addressed in the second book of the Power Series. "Grabbing for Power" was written by Alexander Hamilton, one of our nation's founding fathers, and he did not come into the American Revolution Movement until he was squeezed. The books were pirated as part of the hostile takeover, by people who are weaving an illusion, and so many people are being squeezed now, and don't see how they can get their life. The books will overcome the illusion that people cannot get the life they want. The planning process must address the acts of revenge that are tearing apart the organization. The first step is to bring in the professional publishing team, and while getting a book published is generally a major step for an author, it is harder then the author is facing a character defamation campaign--an individual form of genocide. The European Union is declaring in the news this morning that many jihadis who left to fight in Syria and Iraq are returning home. ISIS created sleeper cells in all the nations, recruited people to fight in the Middle East, trained them to be jihadis, and got them to perpetrate crimes and by doing so, backed them into the corner by enslaving them, and now the jihadis are returning to destabilize their own nations. To fight ISIS without addressing the root cause of the problem--by assuming responsibility for one's own part in the conflict-- will only make matters worse. ISIS is a ripple, also, that went out from the Grand Lie to justify the preemptive strike on Iraq. George W. Bush declared "we will fight them over them so we don't have to fight them here," and that made many people angry, so they started to come here. He drew together the Coalition nations, and the promises he made to the Coalition nations brought in those who support the War on Terror and in the process, oppress their own people. That is what brought in the terrorists, and why so many people around the world are angry at the United States for supporting and financing oppressive regimes. The act of revenge against Saddam Hussein brought together five groups of people who play favorite power games. Five games are being played. Three have reached their ultimate conclusion and are returning to the midpoint, but the two that are based on weaving an illusion--genocide and slavery--are still going out. The one thing all the games have in common is the revenge on Saddam Hussein. The real horrors of a genocide is when you realize that the truth does not overcome the lie, and that everyone is fighting for their life. C.S. Lewis wrote the Narnia Series as allegory for this time period. While it appears that "The Magician's Nephew" is his first story, "The Last Battle" is the story that draws everyone into the global genocide, and it starts with the relationship between two characters--Shift and Puzzle--who are parallel to George HW Bush and George Bush. By attempting to fight the jihadis, it will reach the point where everyone is fighting for their life. In the Illusion, everything is backwards, so people are pushing away that can help them and holding onto what can't. It is like everyone is drowning and pushing away the lifeguard. The solution is to do what is in everyone's best interest, and that is to support the creation of the international government. By doing so, your perspective is that of understanding that it is possible to create the life you want, and you are detached from the conflict. There is no need to fight because you are already getting the life you want. This creates a sense of insulation. Not isolation. Not ignoring the crisis. The first step in creating the international government is to bring together the professional publishing team. The information on how to create the life you want must go out, and it must be done by those who let go of the fighting, and faced their end of life crisis. People must let go of what is dragging them into the abyss, and start to climb out of the deep, dark hole and into the Light. It is like overcoming homelessness or terminal cancer, or extreme poverty. It must be done by demonstration because you must be able to see that it is possible to do so, and it is a long, hard journey out of the abyss. Besides calling for a global genocide watch, and asking the ambassadors to Track Our Progress, Karen Holmes told them that the economic structure of the international government will be based on each nation finding a niche based on it natural resources, and the departments of the international government will make win-win agreements--superseding existing trade agreements. It isn't always evident what you have, and the departments of the international government will be happy to help a nation figure that out. Until that time comes, the solution is to watch other nations learn what their niche is based on the proposals and the planning process. We are starting with the Exit Strategy for Iraq, and helping the United States and England find their niches. This allows England and the United States to step back from attempting to control other nations to ensure access to needed natural resources. Within our organization, many people were drawn into the conspiracy without understanding what was occurring, and are not that willing to fight, but must defend themselves and their family. The offer to participate in the creation of the international government by joining the conspiracy fell through. People are standing and watching. That is not a problem. Many people have reached retirement age or are disabled to the point where they can't get a job, and because we have never been able to create a solid financial foundation, we depend on Social Security. It is never enough. A small network has formed, but because of the chaos from the hostile takeover bid, no one is willing to make the leap to participate in the Multiply Your Resources Club. If you have every person on the planet working together, you have all the resources of the planet. This is our goal. The international government will be the all-inclusive, global version of the Multiply Your Resources Club. Karen Holmes is a channel, a prophet, who started the prayer circle in the early 1990s. Up to twenty five people came together to pray for world peace, and to help people in crisis. She channeled the messages, and worked with her guides on a series of books that are channeled messages from God on how to overcome any crisis. The first people to come into the framework are the people from the prayer circle, because they know that she wrote the books, but they were approached by the conspiracy and offered the opportunity to function on a higher level, so they are backed into the proverbial corner. The next people to come in are the channels, because they don't listen to anyone on the physical plane. The channels trust their guides, who are all working together on the higher planes. Seth is a seventh dimensional entity who is famous for his books with Jane Roberts, who passed away in the 1980s. Seth is now working with Karen Holmes, and with other channels. While the male and female aspects of God give their blessings to the plan, he can be considered the architect of the plan for the international government, and responsible for providing additional information about the projects. The contingency for the Exit Strategy for Iraq is the U.S. Constitutional Amendment proposal. Karen Holmes is responsible for the Exit Strategy for Iraq, and another Seth channel is responsible for the U.S. Constitutional Amendment proposal. Each has drawn around them a group of people, the inventors and the investors. The resistance to the two sides coming together comes from people who deny their own capacity. They are attempting to control what is occurring, but without the understanding of what it takes to create the plan for the international government. They are weaving an illusion, and creating chaos. To stop the chaos, the Getting Out of the Abyss classes--the curriculum--includes the Chaos in the Family packet, which looks at how women can come together in the Virtuous Woman's Club-- which is based on Proverbs 31 of the Bible-- and the men can come together to learn how to Defend Home and Nation. While their parents are getting out of the abyss, their children will learn how to overcome the effects of the crisis in the family. The World Peace Marketing Strategy and the projects allow everyone to function on a higher level. To get your life on a higher level, you have to function on a higher level. Once the Grand Lie has been told, the truth does not overcome the lie. It just reaches the point where no one knows who to trust. The ripples of effects have created a huge logjam, and the pressure is rising behind it. On a parallel basis, this is what causes tsunamis. At this point, there is no way to have a fair trial, so we must unravel the illusion that has been created, and to so that requires debate and understanding about how the power games work and why they don't work. When people hit the point of understanding that the power games no longer work, this is called the Brick Wall. The person is 180 degrees from where he or she thinks he is. When you hit this point, you would rather be anywhere else, but you also know where you are. You are lost. Someone who has overcome the same crisis must demonstrate that it is possible to do so. Many people are in crisis, backed into the corner and don't see a way out. The illusion is very powerful. The solution when you are backed into the corner is not to fight, or to continue to be squeezed until you die, but to understand that God never said you had to be in this crisis, and to turn around and go through the little door in the back of the corner. That is the solution to the dilemma, and the application is to do what is in everyone's best interest. If your project is based on doing what is in everyone's best interest, you do your project. You join the organization framework of win-win agreements. You don't have to be the head of the project. You can work with others and everyone shares their talents and gifts to bring it about. The first step of the planning process for 2012 is the Exit Strategy for Iraq, and bringing together the professional publishing team. Little steps lead up to them coming together, and it has taken four years for the next family to come into the framework of win-win agreements. The overview person of the family is the intent of the team, which means that once he agrees to participate, the other members of the team will come, too. He has been inundated with illusion, attacked over and over again by people who want to prevent him from coming. He believes that if he comes, he will trigger such a tsunami of chaos that many people will die. Instead, by him not coming, the tsunami is rising. This man is parallel to the United States, which is the overview concept. The first two proposals must be addressed to end the chaos that is going on around the world, caused by the extremists, who are trying to prevent the international government from coming about. Genocides are based on weaving a sense of illusion. The ripples of effects have gone out from the Grand Lie, and many people have been drawn into the genocide, including ISIS. The problem now is that the truth does not overcome the lie. It just reaches the point where no one knows who to trust. The darkness cannot function on a higher level than the light. Darkness is based on fear, and the only thing it can do is to make people so fearful that they turn and run, like being routed in a battle. The darkness's plan is not to win the battle, but to postpone the introduction of the new plan. The idea is to perpetuate covert and overt acts because no one can defend themselves from prejudice and ulterior motives. Understanding what is occurring from the widest perspective allows those who stand in the light to stand to fight the darkness and the fears. The seven power games are based on three fears--loss, death and failure. Everyone plays the games. The games are bad, not the people. If you back someone into the proverbial corner without giving them a way out of the corner that allows them to function on a higher level, it puts them into a dilemma with two untenable options. They can die or come out over the top of you. This is where North Korea is now--backed into the corner with no way out of it, and willing to deploy its nuclear weapons. Our organization is working with God, the Creator of us all, to introduce the plan for the international government, and God is the widest perspective possible. This allows us to overcome the darkness that is associated with the sense of illusion that has been woven. It must give people recourse to change what is unfair. It must stand on the principles of Universal Law. God, the Creator of us all, does not work with anyone who does not stand on the principles of Universal Law. During times of change, the old prophecies are brought out of storage and dusted off. Is this the prophesied End Times-- the Rapture? Is this the time for St. Malachy's prophecy for the end of the Catholic church? Is this the End Times the Mayans foretold in their calendar? ISIS believes that this is the time for Muhammad and Jesus to come together. But, so many misunderstandings exist about prophecies. Prophecy is a potential future, sometimes a warning and sometimes a promise. How will they play out? How can you fit these times of change into the prophecies? These are the end times that were prophesied by the Mayans, the Christians like St. Malachy, and the Mayans, but they are not coming as many people believe. These are the end of a cycle, and great changes are possible only at the end and the beginning of a cycle. The cycle that is ending is based on the power games, which no longer work. You can't reach the end of a global cycle by taking the games deeper. The Bible prophesies a Thousand Years of Peace, and it is based on the creation of the international government. The rise of the caliphate does not have the blessing of the Creator of us all because it does not stand on the principles listed above. No one is in agreement for the rise of one individual to be the supreme ruler of the planet. To declare oneself the caliph allows us to understand only what we, as a planet, no longer will tolerate. There is no need to fight ISIS. Our plan introduces the Faith of the Pure Ray, which unifies the world's seven major religions into one body of knowledge that teaches the principles related to how to create the life you want. There are no other institutions on the planet that do this. Each of the world's seven religions teaches one segment of the knowledge. This is the fulfillment of the prophecy that Muhammad and Jesus will come together. God, the Creator of us all, grants to every person on the planet certain inalienable rights, which are to be able to create the life we want without interference, to be treated fairly and equally, and to have a voice in our government. When governments become oppressive, they deny the people their inalienable rights. Under Universal Law, if you deny anyone their inalienable rights, you lose your own rights. The preemptive strike on Iraq went against Universal Law--and also the intent of the UN Charter to prevent unprovoked attacks. Ripples of effects have gone out to draw in the entire plan. To maintain our inalienable rights granted to Americans, we must offer to every person on the planet the same inalienable rights granted to us by our constitution. The first two proposals of the international government end the conflicts and grant these rights to the entire planet. There is no need to fight ISIS. There is no need to fight North Korea. All mankind must do is to join the efforts to create the international government, and to stand on the principles of Universal Law, which will be the basis for the international government's legal system. The first proposals lead to the creation of an international court system so that disputes between nations are resolved in court rather than the battlefield, and the monies now wasted on war will go to the people instead. Everyone wants to be part of the plan for the international government because it allows everyone to function on a higher level, but the power games get in the way. The people have been frustrated that their leaders attend summits but never seem to accomplish anything. The world leaders have used the games to gain power and prestige, and so people are grabbing for power. By adding the creation of the international government into the equation, and leaving out the people, the question becomes who will have the most power in the international government. Will it become like another United Nations, with a Security Council? Many people see the president of the United States as being the most powerful person on the planet, but that is not so. The power a nation has is derived from the people, and in the international government, the power a nation has will be based on its population. The House of Representatives, one of the houses of the legislative branch--which decides whether legislation is the will of the people--is based on its population, so the more people a nation has, the more voting power it will have. In the executive branch, every nation will send a president to the international government, and they will decide whether legislation is executable. All the presidents will be equal, and they will each have one vote. A flat hierarchy allows mankind to function on a far higher level than a vertical structure, where people are grabbing for power and climbing the proverbial ladder of success. The new paradigm allows mankind to be unlimited in what can be accomplished. The international government will guarantee the rights of the people, and one of the rights an individual will have is to be able to leave a nation if he or she believes he has been oppressed. If a government is too oppressive, the people will leave, and the government will lose power on the international level. In the case of Yemen, or any nation where the leadership has become oppressive to its people, the simple solution is to declare that the government must be invited to participate by its people. Our organization will host a conference of world leaders to work together to set up the three branches of the international government, experts in various fields to help to set up the eleven departments, and groups to present cultural demonstrations so that everyone can appreciate the wide diversity that is represented in the nations. Before the conference can be scheduled, our organization must work to purify the US legal system prevent unfair practices that have caused chaos in the U.S. legal system from spreading chaos onto the international level. We have a series of books that will explain how the international government will function. They will be launched along with the proposals to explain the principles of the proposal and the application of the principles.